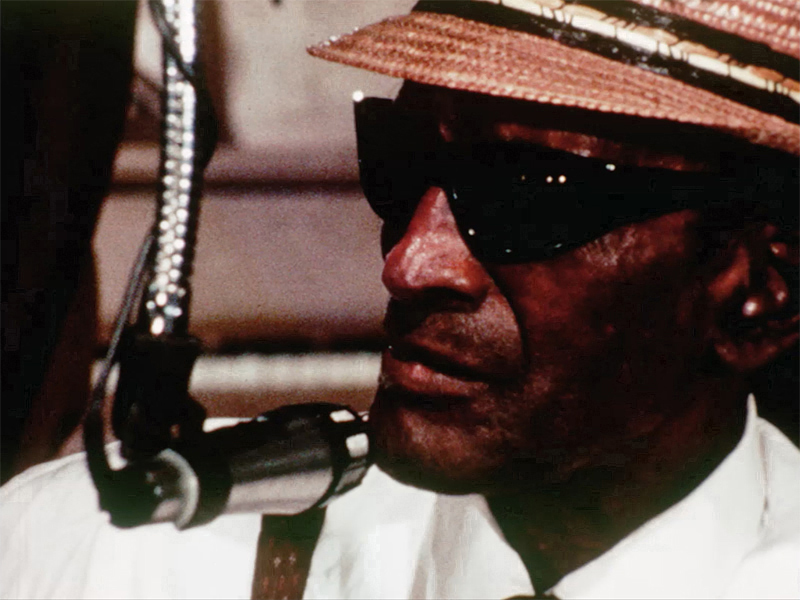 In the summer of 1969, blues artists came together to celebrate the sound and soul of blues music, despite the political climate in Memphis, Tennessee, and across the United States. 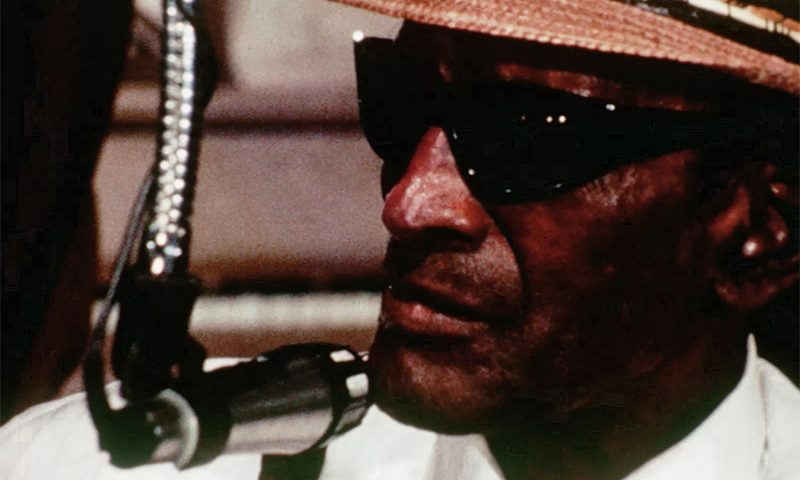 Memphis ’69 comprises found festival footage and audio, and the performances drive the screen from start to end—the only explicit commentary from 2019 exists only as text flashing on the screen at the beginning: “1969 Memphis Country Blues Society put on a festival. At the same civic band shell, the Ku Klux Klan held white-power rallies. But music prevailed, gathering all.” The shaky camera with grain-filled color then follows The Bar-Kays and Rufus Thomas in the first performance we enter in to see. The energy of the festival is captivating given the breadth of artists and the stories they bring to the stage. Ranging from Furry Lewis as he slides down the neck of his guitar with his elbow to Lum Guffin playing with his pocket knife, there is no scarcity of character or soul. Whether it be Jefferson St. Junk Band smoking pipes in between breaths to the harmonica and metal fingers to the washboard, or John Fahey sitting beneath an umbrella playing wholeheartedly to the heat, all the artists work in unique ways to preserve the blues. Although it wasn’t the main driving force, there were political undertones in the story of Memphis ’69. During a break after the Son Thomas performance, a man announces onstage that one of the women performing was arrested outside of the venue. Holding a cup by the exit to collect the $50 needed to get her out, attendees are asked for their spare change as they leave. In another instance, as John D. Loudermilk strums his guitar, the camera flashes to a rural setting, to the sun, to the trees and eventually to men working in cotton fields. The concert returns to the screen and not long after, the tone alters as Bukka White plays the guitar behind his head, laughing and singing. There are few scenes of commentary included, but after a performance by Insect Trust vocalist Nancy Jeffries preaches that only 800 of the 3,000 people attending had paid, exclaiming that it’s their city and their music, and the blues artists performing are not getting paid. Rather than focusing on her as she’s speaking, each shot is of a different crowd member. This builds the dynamics of an unsure relationship between the audience and the performers present throughout the film. Preceded by documentary short Las Del Diente, directed by Ana Perez Lopez.